Buy online T-Cobbler Plus for Raspberry Pi in India at low price from DNA Technology, Nashik. The T-Cobbler is an General Purpose Input Output (GPIO) board specifically designed for the B+ that can break out all those tasty power, GPIO, I2C and SPI pins from the 40-pin header onto a solderless breadboard. This set will make "cobbling together" prototypes with the Pi super easy. Each order comes with a 40 pin ribbon cable and assembled T-Cobbler Plus. 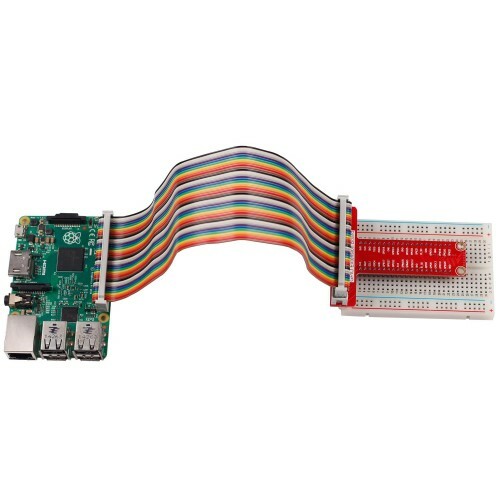 You can plug the 40-pin GPIO cable between the Pi computer and the T-Cobbler breakout. The T-Cobbler can plug into any solder-less breadboard . 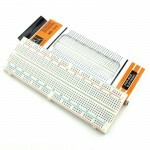 MB102 Breadboard 830 Tie PointsFrustrated of using low quality breadboards? Try out MB102 Bread..